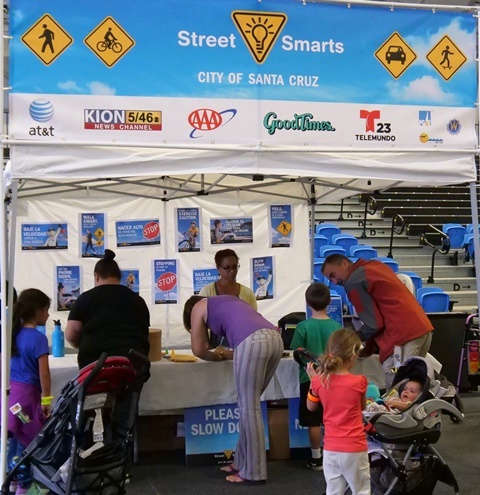 The City of Santa Cruz welcomes drivers, bicyclists and pedestrians of all ages to Street Smarts Back-to-School Traffic Safety Blast from 10 a.m. to noon on Saturday, Aug. 4, at Laurel Park, 301 Center St. The event features 12 traffic safety booths with fun-filled activities that underscore safe rules of the road plus one free raffle ticket per person for 25 prizes including new bike, helmets and reflective gear. Young and old can experience the impairment caused by texting while driving and cycling through Impact Teen Drivers’ “intexticated” goggle-walk and AT&T’s It Can Wait interactive simulator. Ecology Action will lead youth on a bike obstacle course that teaches best safety practices. They will offer bike helmet fittings at their table along with pedestrian and bike safety activity sheets. The Santa Cruz Police Department’s booth will feature Santa Cruz City Schools Crossing Guard Jerry Cacace and Traffic Sgt. Scott Garner to answer questions as well as a traffic safety wheel with prizes. Current eBikes is offering free bike safety check-ups and Bike Santa Cruz County will provide resources to make local bicycling better. Other booths with family activities include the California Highway Patrol, Santa Cruz County Regional Transportation Commission and AAA. For adults, the JUMP bike program will offer Bike Share test rides and information, and Santa Cruz Neighbors will collect input on neighborhood traffic issues. The City’s Go Santa Cruz initiative will be represented by Public Works staff who can discuss Safe Routes to School and active transportation projects. The Street Smarts booth will provide traffic safety activity sheets and collect stamped passports to enter the raffle with winners to be announced at 11:30 a.m. 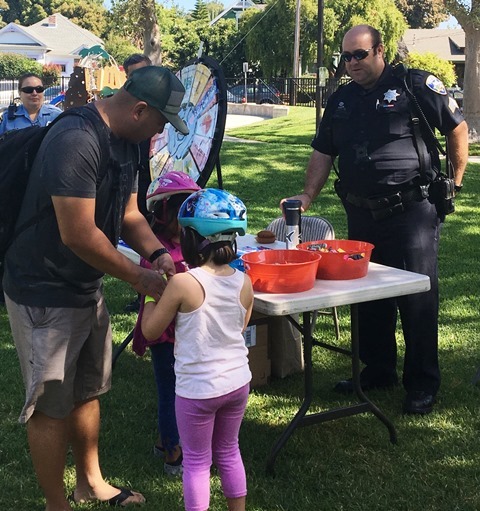 The City of Santa Cruz is grateful to the community partners who are hosting stations and providing prizes noted above, as well as to local vendors Cycle Works, Pacific Ave Cycles and Target for their raffle donations. Street Smarts is a City of Santa Cruz traffic safety campaign with mission to reduce the number of traffic-related crashes and injuries in Santa Cruz. Year one of the campaign is funded in part by AT&T/It Can Wait, AAA Northern California, Nevada & Utah, Pacific Gas and Electric Company and Kaiser Permanente, with media sponsors KION/Telemundo, Good Times, KSCO and Santa Cruz Metro. More information is available at www.cityofsantacruz.com/StreetSmarts. • SCPD’s Traffic Sgt. Scott Garner will answer questions and host a traffic safety wheel with prizes at the Street Smarts Back-to-School Traffic Safety Blast on Aug. 4. 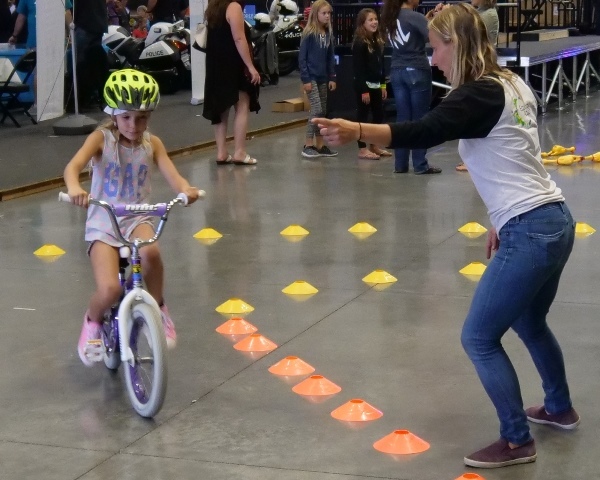 • Ecology Action will lead young cyclists on a traffic safety obstacle course at the Street Smarts Back-to-School Traffic Safety Blast on Aug. 4. • The Street Smarts booth will collect stamped passports to enter the 25-prize raffle including new bike, helmets and reflective gear at the Street Smarts Back-to-School Traffic Safety Blast on Aug. 4. 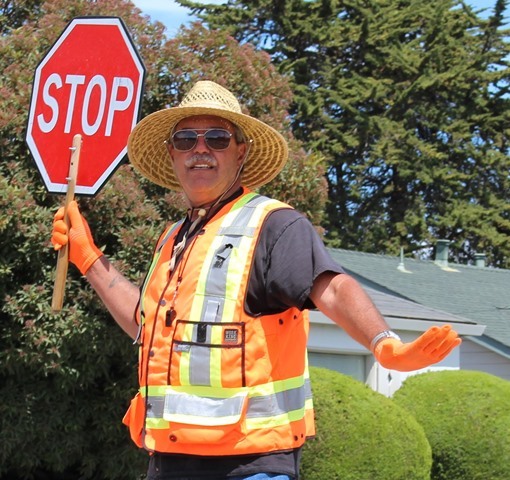 • Santa Cruz City Schools Crossing Guard Jerry Cacace will answer questions at SCPD’s booth at the Street Smarts Back-to-School Traffic Safety Blast on Aug. 4.